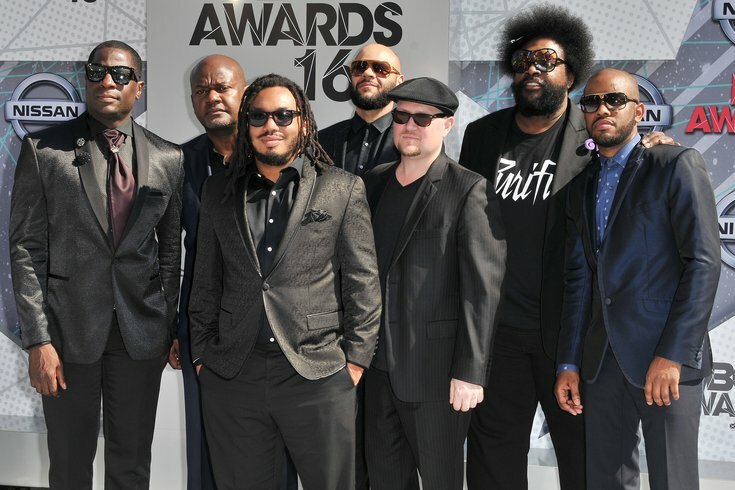 Philadelphia hip-hop legends The Roots canceled a Saturday night performance at Austin's annual South by Southwest (SXSW) festival due to a "security concern" that was later confirmed to have been a bomb threat. Authorities in Austin arrested a 26-year-old man in connection with a threat that came prior to the start of the "Bud Light x The Roots & Friends Jam," scheduled for the final day of the week-long tech and culture festival. Police said they received a report of a bomb threat from a Live Nation Music representative who had been warned of the alleged plot in an email. Trevor Weldon Ingram, now charged with a felony count of making terroristic threats, claimed there was a bomb at the festival's Fair Market venue. Responding officers conducted a check of the area and determined that there were no threats present at the festival. "Due to a security concern, we have made the difficult decision to cancel tonight’s Bud Light x The Roots SXSW Jam," an Anheuser-Busch representative said in a statement. "After working proactively with SXSW, the Austin Police Department, and other authorities, Bud Light believes this is the best course of action to ensure the safety of our guests, staff and artists, and appreciate your understanding. We are truly sorry to have to cancel the event, but we felt it was necessary to take all safety precautions." Reappearing for a third year, the show was set to include performances by Ludacris, Jessie Reyez, Rapsody, Dermot Kennedy and Tank and the Bangas. "The safety of all fans at SXSW is our most important priority," the statement from Anheuser-Busch continued. The Roots drummer and DJ Questlove reminded fans that he will still be in Austin for a separate performance Sunday afternoon.